The rally which started in the crude oil price may not be over yet. Most experts tracking the commodity sees it heading towards $80-90/bbl in the next two years. The crude which was trading around $50/bbl at the beginning of the year 2017 climbed to $68/bbl in the first week of January 2018, resulting in a rally of over 20 percent in the crude oil prices in the last one year. Higher oil prices do pose a concern for fuel importing countries like India which would have an adverse impact on the economy as well as companies which used crude as part of the raw material in their product. The rise in global crude prices is backed by output cut by OPEC & Russia, freezing weather in the US which has fueled demand for heating oil. Strong economic data from major economies, and falling crude oil inventories coupled with Middle East tensions will keep the commodity on trader’s radar. “We maintain our bullish view on Brent crude oil prices and expect the prices to trade between US$80-90/bbl during the next two years. Our positive bias on crude is mainly supported by OPEC’s (along with Russia, non-OPEC member) decision to maintain production cuts throughout 2018 which will partly balance demand-supply situation,” Sumit Pokharna, Deputy Vice President Research at Kotak Securities told Moneycontrol. “Apart from that declining US crude inventory levels, rising global oil demand, seasonal factors (winters), higher refining margins leading to higher crude demand from refiners, large speculative position building up, geopolitical concerns, etc. are all contributing to higher crude oil prices,” he said. Even the domestic fuel prices have been steadily rising for several months as global crude prices have soared almost 40 percent in the last few months. The rise in crude oil prices has a bigger implication for India – first, it does put a strain on countries current account deficit, and the other major worry is that it leads to rise in inflation. “Higher oil price is posing a concern as a continuous rise in crude oil price is expected to have adverse macroeconomic implications. It may not just fuel inflation, but may also deteriorate the twin deficits (current account deficit and fiscal deficit),” D.K. Aggarwal, Chairman and Managing Director, SMC Investments, and Advisors told Moneycontrol. “As RBI is already keeping a close eye on inflation, it may give limited room for RBI to slash rates in coming months and this may affect corporate profits, even turn the investment sentiment negative,” he said. Crude oil formed an inverse Head and Shoulder Pattern on the weekly chart, which is a bullish pattern. The pattern is formed on the weekly chart, which indicates that crude could be in a medium to long-term bull run. “The immediate support comes around $55 followed by $52, which could hold any dips in the prices. Medium-term Supports are around $42/40,” Priyank Upadhyay, AVP Commodity Research at SSJ Finance & Securities Pvt Ltd told Moneycontrol. “Prices are also trading well above the 8,20 and 50 week moving averages which indicates positive momentum to continue. From the above analysis, we see prices could head higher towards our minimum target of $68 and the inverse head and shoulder pattern targets come around $80,” he said. The breakeven cost for ONGC is $45-47 per barrel. And, if the crude oil prices remain above $47 per barrel it will benefit ONGC. OMCs like HPCL and BPCL will be hit by rising crude price as we believe they will not be able to pass on the entire rise to the end consumer as the government would not like to make diesel/ petrol costlier at this juncture. Reliance Industries (RIL) derives more than 50 percent of profit from refining which is benefitted from rising the crude price. Hence we believe the rising crude price will improve the bottomline for the oil & gas major. Rising crude price will improve GRM’s for the company and we also believe that rising crude prices will lead to inventory gains for the company. CPCL, MRPL: Simple refiners like CPCL and MRPL will see pressure on GRMs, operating cost will increase, interest cost will go higher due to the higher working capital requirement, etc. 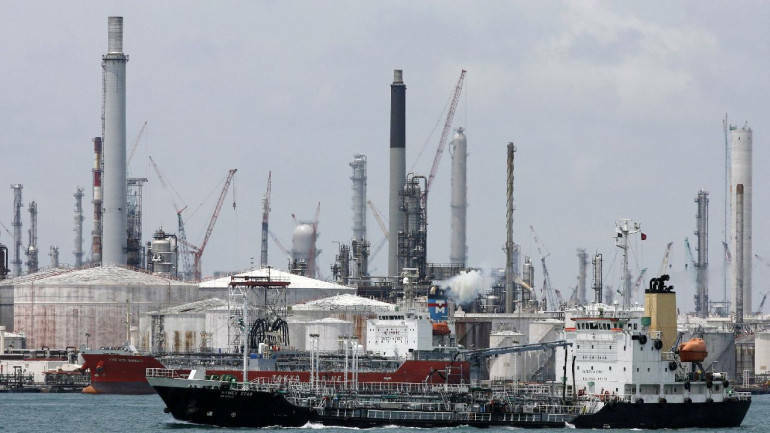 Q3 Net Profit Margin may slightly weigh on the downstream (Oil Marketing) business but the impact will be limited as domestic fuel prices are linked to international rates. Meanwhile, inventory gains due to higher crude prices in last 3 months can also lead to higher earnings. The stock price has corrected from its peak and taking support around 380-390 levels. We Maintain Buy with Target Price of Rs450. The rise in ATF prices will have a negative impact on operating margins of aviation stocks such as Jet Airways, SpiceJet, InterGlobe Aviation as fuel bills account for almost 50 percent of the operating costs of an airline. The company is primarily engaged in Oil and gas exploration with a major role and also sells its oil to other refineries which are from the public as well as private sector. Prices are also in tandem with crude oil and may continue to do well. Disclaimer: The views and investment tips expressed by the investment experts on moneycontrol.com are their own and not that of the website or its management. Moneycontrol.com advises users to check with certified experts before taking any investment decisions. This entry was tagged commodity, crude, crude oil, oil prices, US crude inventory. Bookmark the permalink.